“On each side of the river stood the tree of life, bearing twelve crops of fruit, yielding its fruit every month. And the leaves of the tree are for the healing of the nations.” — Revelation 22.2. The Tree of Sapphires is another name for the Kabbalistic Tree of Life. This is the structure that underpins the Western mystery tradition and enables it to update for each generation. This updating is vital to keep a mystical system formulated in Biblical times both profound and understandable for every age. It holds to strong spiritual principles but allows humanity to evolve. “Cultural patterns may change; Universal law does not.”—Z’ev ben Shimon Halevi. 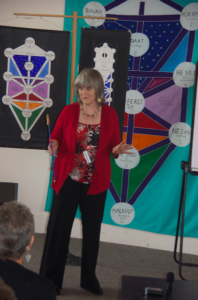 This website is the home of the Kabbalistic teaching by Rev. 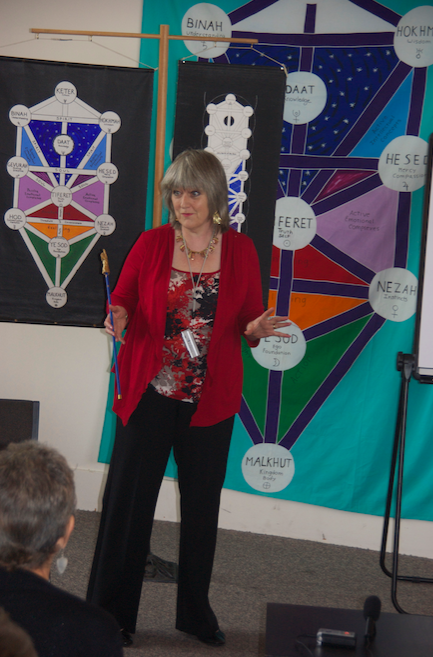 Maggy Whitehouse, author of Total Kabbalah, Living Kabbalah, The Illustrated History of Kabblah and A Woman’s Worth—The Divine Feminine in the Hebrew Testament. Joining Maggy here will be Kabbalah teachers from all over the World—all jewels on the Tree of Sapphires. Each of the jewels is a teacher who is updating this ancient tradition for the modern world through using their own culture and expertise. We hope that you enjoy our work and are inspired to find your own unique path of revelation.